Dictionary browser. 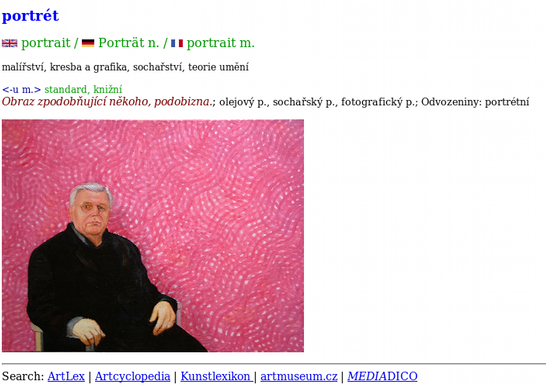 It offers straightforward access to various Czech dictionaries. Simple and practical tool which allows you to create, edit and view wordnets. Web application. It allows you to create, edit, and share your own dictionary. 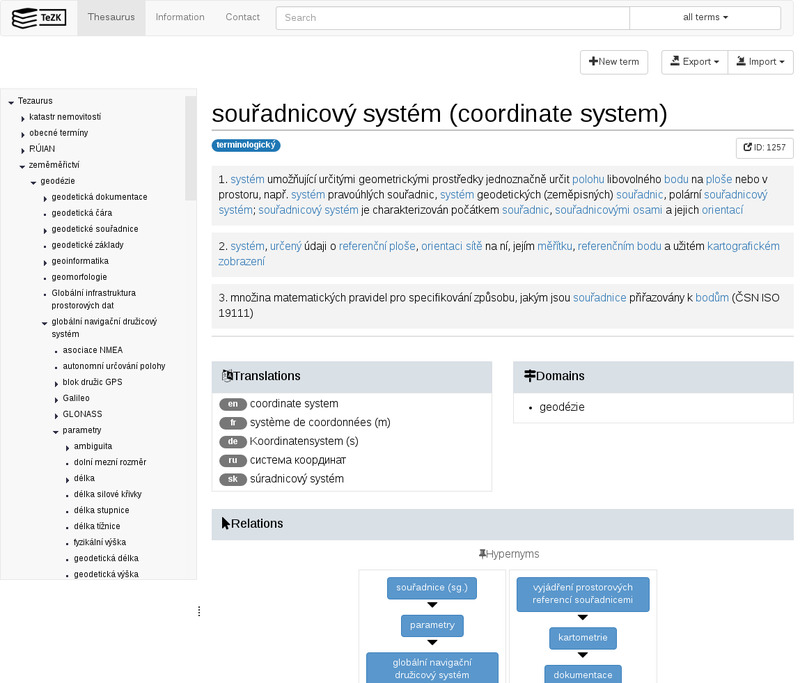 Lexical database of Czech language of 21st Century. Its main goal is to build basis for the new explanatory dictionary. Dictionary explains and translates the terms used in fine arts. 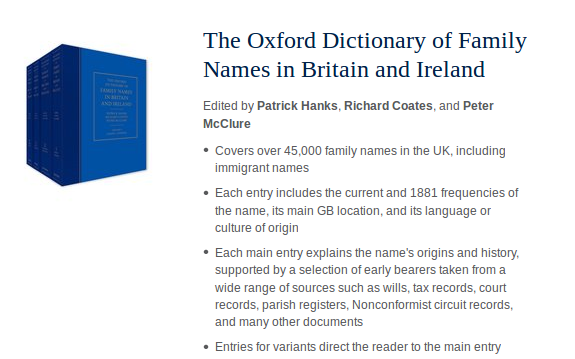 Database of surnames used in Britain and Ireland and their analysis. 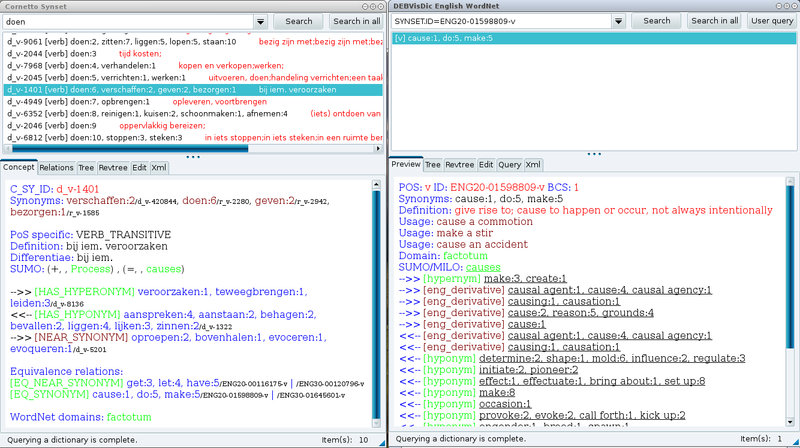 Dutch lexical database focused on semantics. Tool for mapping meaning onto words in text. 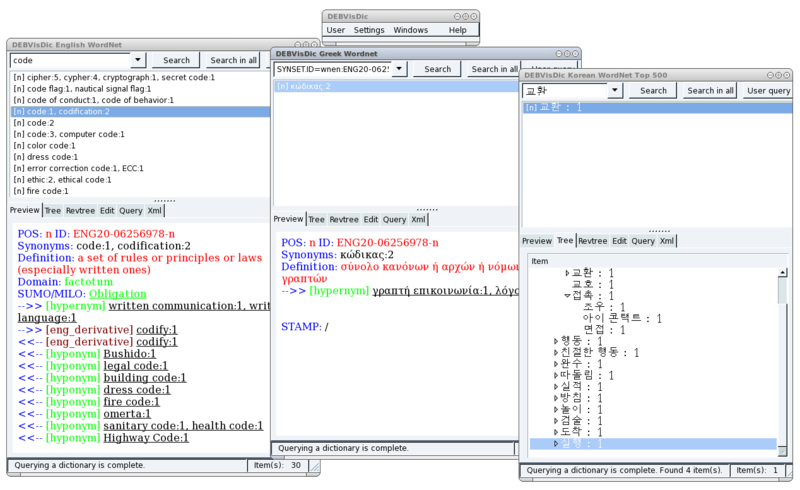 It is currently being used to build a Pattern Dictionary of English Verbs. It contains English translations of terms of Czech folk culture and other interesting information about them. Encyclopedic dictionary of Czech. It explains terms used in the major disciplines of Czech studies. Explanatory dictionary of mainly Czech Sign Language, associated with the translation dictionary for 5 languages. Dictionary focused on terminology of land surveying. It offers variants of terms, their translations, and other useful information.